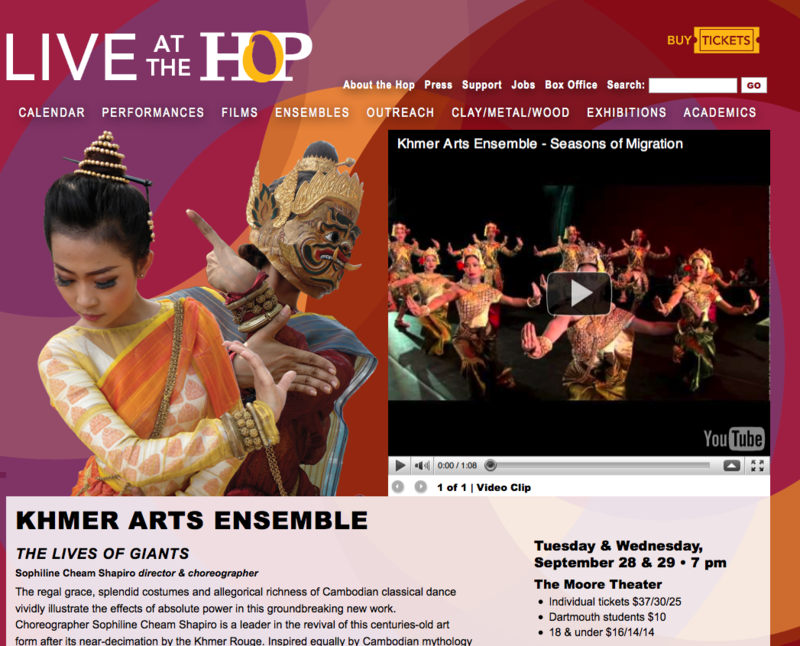 The Hopkins Center provides an environment for learning about, creating, and experiencing the arts for both the Dartmouth and Upper Valley communities. For their latest redesign, the Hop worked with in-house web support to build a dynamic website that would both promote their programs and serve as a resource for prospective and current Dartmouth students. The Hop had been working with an external vendor and using a content management system. They had the necessary experience and staffing to commit to maintaining a dynamic website. And since their design and functional requirements included elements such as a calendar and RSS feeds, we decided to use WordPress as the development platform. We normally do not offer WordPress because of the support implications. However, due to the unique business needs of the Hop, we felt a dynamic authoring environment was necessary to meet their needs. We beefed up our in-house expertise and hired an external WordPress consultant to help with the more complex functionality, such as the calendar. We worked closely with the Hop to develop the information architecture for the site. 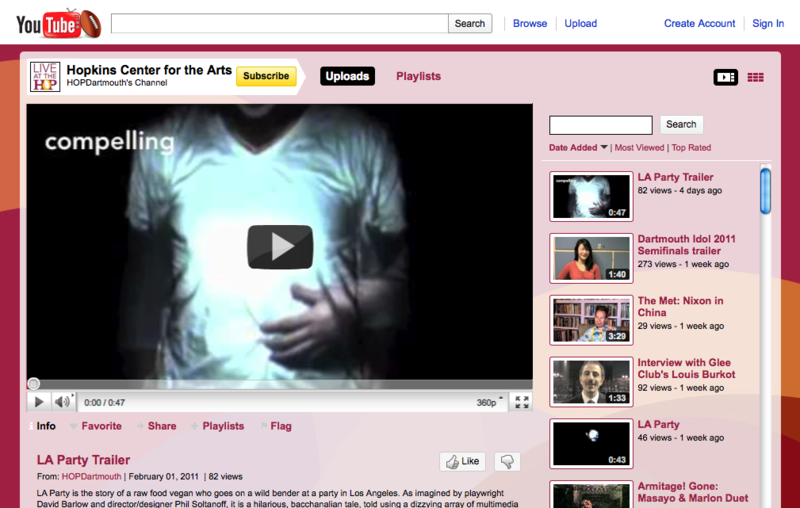 Our goal was to provide easy and intuitive access to program information, which is necessary for a center for the arts. We also sought to highlight the educational opportunities for Dartmouth students through workshops, exhibitions, and academic programs. When it came time to work on the visual design, I was fortunate to have access to the graphics developed by the Hop creative team as part of their print campaign. The Hop season brochure provided excellent source materials that allowed me to create a compelling visual design that captured the tone and energy of their printed pieces. In particular, I was able to include a treatment for silhouetted images. I used CSS3 transparency effects to maximize the impact of the bold background graphic. In addition, I created a design for the Hop’s YouTube channel utilizing many of the same elements. The Hop staff was quick to learn the WordPress interface. Once we developed the framework, design, and functionality, the Hop set to work filling out the content, adding text, photos, and videos. WordPress has proven to be a good fit, and they continue to provide site visitors with fresh and compelling content.